User groups help you restrict Storman access in a holistic way. 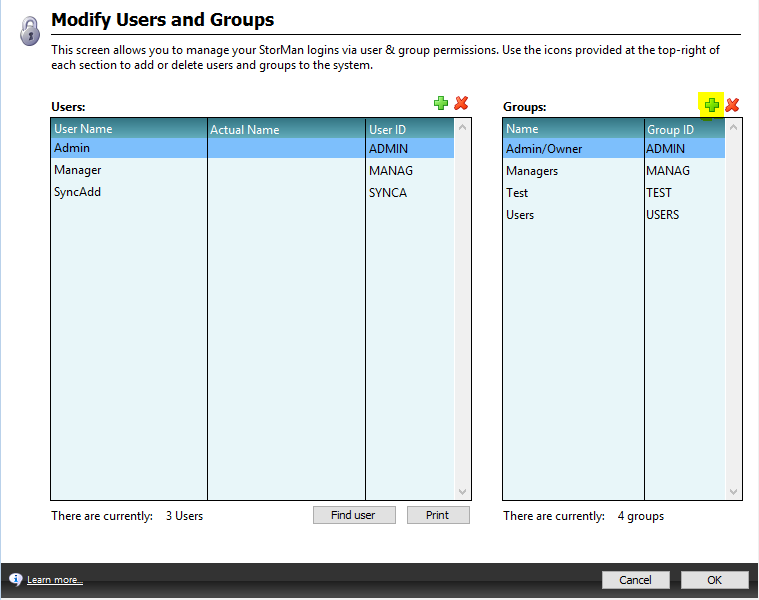 Multiple users can be assigned to a user group that have permissions set. This article will be useful if you wish to grant access to a particular user group and if you can creating new user groups. During the below process you will be creating a new user group. Open the Users & Groups section by selecting Maintenance Users Groups. Add new Group. Selecting the green plus at the top right of the groups table and enter the new groups name. Assign permission. These are the permissions anyone assigned to this user group will get. Assign to users. 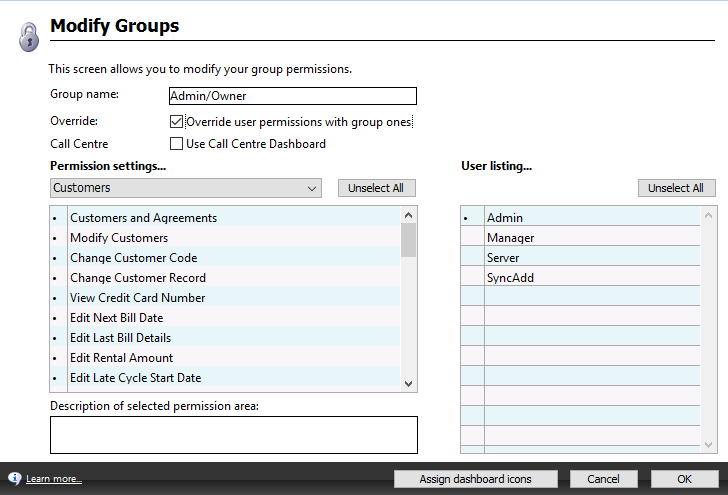 assign the user group to a group of users. Hint: Once you enter the new user group name you will need to open the group to continue with its creation. Hint: Do not forget to tick the override button if you want the group permissions to be considered instead of the individual permission. Once the new group is created select OK to save and close the new group.